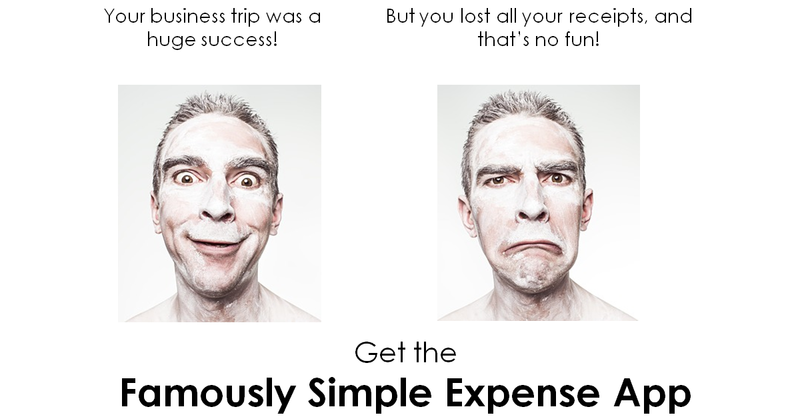 Check out the Famously Simple Expense App. Just take photos of your receipts as you get them and store them in the app. The app keeps track of each expense, totals them up, and sends you an e-mail when you're done with your trip with all receipts attached. It makes it so much easier to do your expense report. Check out more details at FamouslySimple.com.